ACCLAIMED writer James Joyce's attachment to Ireland was "like an umbilical cord", historic diaries belonging to a former Irish diplomat have revealed. The diaries belonging to Sean Lester, which have recently been donated by his family to Dublin City University's Historical Collections Research Centre, also reveal how the Dublin-born novelist "kept Radio Éireann going on the wireless all the time" such was his love for Ireland. Detailed accounts of Sean Lester's dealings with Joyce and his family have become known 75 years on from the death of the world-famous writer who left Dublin for continental Europe in his early 20s. A former journalist, who was born in Carrickfergus, Co Antrim, Sean Lester went on to be appointed High Commissioner for the League of Nations in the free city of Danzig (now Gdansk), where he endeavoured to protect the Polish people against Nazism. As acting secretary-general, he supervised the winding-up of the league after the Second World War. He met the Joyce family in Geneva in 1940, after they had fled German-occupied France. The poet had written to the Irish diplomat about his daughter, Lucia, who was in a sanitarium. Joyce had managed to secure exit visas for himself, his wife, son and grandson however failed to get one for mentally-ill Lucia. He had contacted the Irish government to ask them to intervene to challenge the German authorities in relation to her visa. Lester also wrote in the diary that Joyce had revealed that when his family fled France, they left behind "precious books" and paintings. 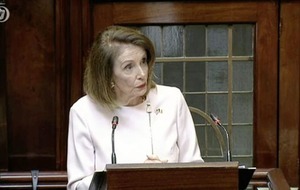 He recorded in the diary that when he asked Joyce about why he had not returned to Ireland, he said: "I am attached to it daily and nightly like an umbilical cord". 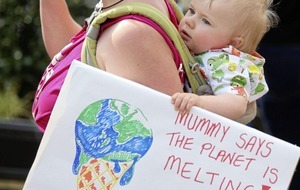 It continued: "The second time I mentioned the question of his returning home, his wife said she had been trying to induce him to for the last two or three years. 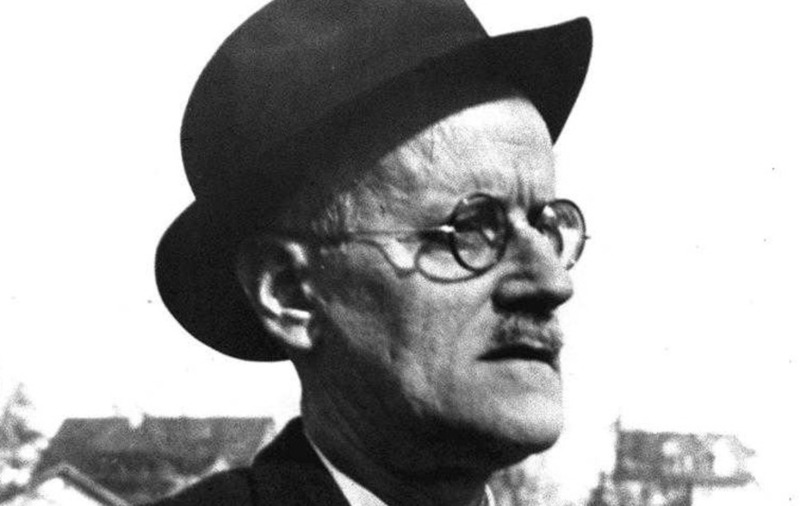 "Joyce said nothing, but when I spoke of getting home in the present circumstances, he said the journey would have been quite possible for him, but he felt it would not be very dignified to go home in the present circumstances". 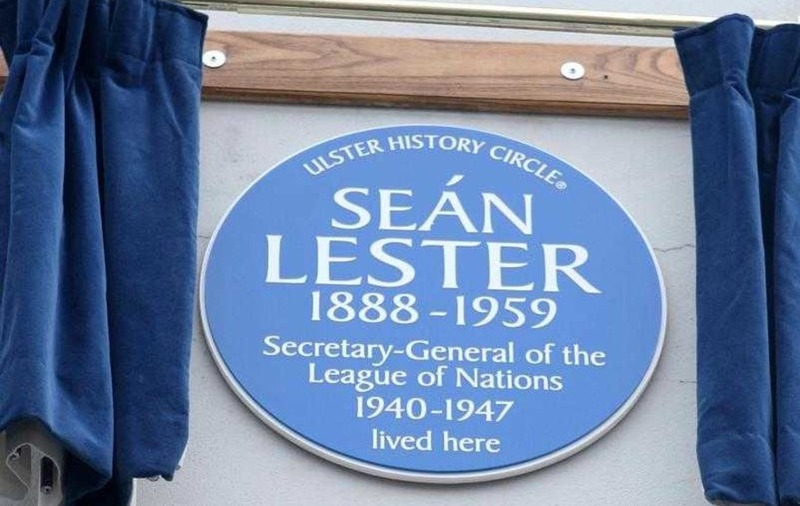 The contents of Sean Lester's diaries have been revealed three years after he was recognised in Belfast for his work and stance against Nazism. 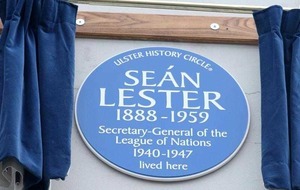 In February 2013, a blue plaque in his memory was unveiled on the Ormeau Road, the site of his former family home.